Around the United States, hundreds of language programs are being cut on college and university campuses as budgets tighten. But trending towards becoming a society with fewer multilingual speakers has major long-term disadvantages in the global age. This week, Christine Schulze discusses what we can do to encourage language learning at all levels of education to help reverse this alarming situation. 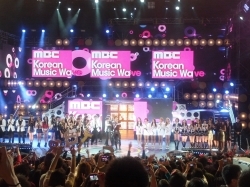 Korean is exploding in popularity at the pre-collegiate and undergraduate levels, and bucking the trend of diminishing enrollment in other languages. This growth presents new opportunities and challenges for Korean educators, and the leaders in the field met last November to discuss where Korean goes from here. The former and current Sup sogŭi Hosu deans, Ross King and Dafna Zur, report on the conversation. Why Learn Languages? Ask the Experts. In this piece originally published in the Huffington Post, language advocate Stacie Berdan highlights the importance of the annual ACTFL conference and interviews a lifelong language educator about her Top 10 reasons to learn languages. It is a MUST read for anyone who has ever had to explain WHY learn another language to a student, parents, administrators, business colleague or friend. What If the Other Side Isn’t Evil? In this political climate, it’s easy to become obsessed with pointing out all the flaws of the ‘other side.’ Yet Helena and Britta from Sjölunden explore what happens when two people with different political views try being friends instead. What does it mean when learners make funny “mistakes” in their new language? 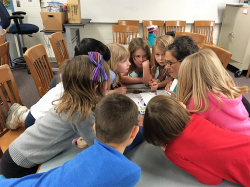 Valerie “Magna” Borey suggests that language play and humor reveal developing insights into the communicative process and give learners a chance to share these insights with others. 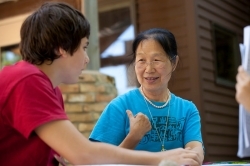 Mandarin teacher Yinglu Zeglin writes about the different ways two cultures such as Chinese and Americans exchange greetings. She shares her personal story of learning first-hand the importance of not only knowing what to say in a language, but how and when to use the culturally appropriate terms. 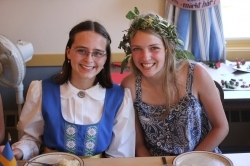 Sisters Maija and Lisa Butler write about the role of storytelling as a ritual that all societies use, and one that we all take part in. They illustrate the important role storytelling plays in learning a language because when we learn a second language, we learn not only a second vocabulary set, we gain another way of capturing and expressing ideas. Perception versus Reality: What Is The Value of Learning A Language? 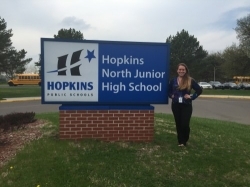 Nicole Roberts, Spanish Teacher: Her language skills in Spanish have led her to a rewarding job in teaching, where she inspires middle school students each day. 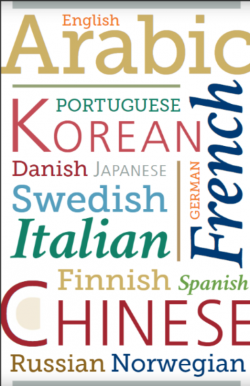 As a German and French speaker, a former K-12 language teacher, and a current teacher educator at Concordia College, I have grown weary of the devaluation of learning languages in the United States. This attitude is, unfortunately, pervasive in our culture, and leads parents and students to question the ultimate value of language study. 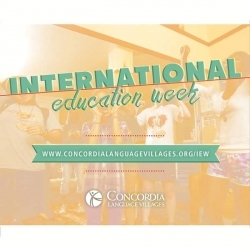 Concordia Language Villages celebrates International Education Week with posts celebrating international education from some of our colleagues and friends. There is a direct link between what I do for a living today and what happened 50 years ago between two men in a remote village in Turkmenistan, then part of the Soviet Union. How Can We Change National Policy For Greater Global Impact? Over the past decade or so, the U.S. military has learned the consequences of our national foreign language and intercultural competency deficit and in recent years piloted programs that provide language, regional expertise, and culture training to some of its units, realizing such knowledge is a key component in the tool box of a soldier. These examples indicate we’re already in a situation where we’re playing a game of catch-up. Why? Because, as a country, we are, by and large, ignorant to the fact that not being able to relate to someone whose first language is not English, and whose cultural reference point is not American, is detrimental to our competitiveness at home and abroad.